Seth Moulton is a Democratic candidate for the US House of Representives in the state’s Sixth District. Returning frommilitary combat in World War II, a 29-year-old John F. Kennedy hung up his uniform and embraced a new form of service back home: running for Congress from the 11th district of Massachusetts. He was one of many young veterans who ran and won in 1946 by appealing to voters’ eagerness for change. Those veterans who jumped into the political arena after the war went on to become a storied generation. Seven presidents in a row (from Kennedy through George H.W. Bush), along with several dozen in Congress, served their country first — in military service and then in government. Their success at governing should send a compelling message to us today. At a time when national politics is so broken, a new generation of young men and women who first cut their teeth in service to others are now venturing into the political arena, offering us fresh, idealistic leadership that may be our best hope of breaking out of today’s mess. This new wave of candidates comes from two vital streams in American life: young veterans coming home from protecting their country overseas along with others who served their country back home as volunteers in classrooms, hospitals, shelters, and beyond. Veterans and social entrepreneurs — they are joining forces and could become a new, powerful force for change. Teach for America began encouraging its alumni a few years ago to run for public office, and several have made break-through contributions. Kira Orange Jones, an African-American woman with no experience in politics, won a key seat on the Louisiana state school board and helped to save the K-12 reform movement there. Mike Johnston, another alum, authored game-changing laws in the Colorado Legislature. For many in the social entrepreneurship movement, it was heartbreaking when Alan Khazei went down in seeking a US Senate seat in Massachusetts five years ago. But now the movement has fresh hope in Michelle Nunn, who is in a tight Senate race in Georgia after successfully running national non-profits. Meanwhile, voters in the Sixth District of Massachusetts have a chance to send one of the nation’s foremost young veterans to Congress. 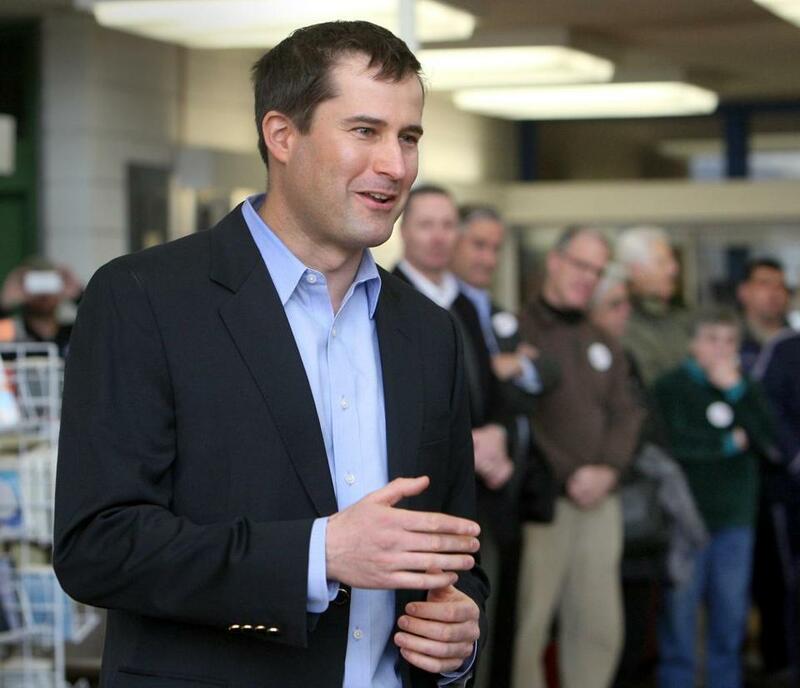 I have known and championed Seth Moulton for nearly 15 years, stretching back to his college days at Harvard. Coming from a family of modest means, he knew what it was to work hard and give back — that’s why upon graduation he volunteered to become a Marine infantry officer. Moulton had three dangerous tours in Iraq and had completed his active service when his mentor, General David Petraeus, was named commander of all forces in Iraq. Remarkably, Moulton volunteered to go back — “we have to finish the job,” he told me. Petraeus, along with General Stanley McChrystal, is now among Moulton’s strongest supporters as he engages in an uphill struggle to wrest the Democratic nomination from nine-term incumbent John Tierney. I have openly supported young people such as Moulton because I have learned through working with them in classrooms and serving on nonprofit boards that they hold extraordinary promise. One shouldn’t overly romanticize. No doubt, some of them — just like some of the World War II veterans — won’t live up to our dreams. (Remember that Richard Nixon was first elected in 1946, too.) They must also be willing to pay their dues. We can’t have it both ways. If we truly believe that our politics needs to change, then we must be willing to vote for candidates who will bring it. Voters back then took a chance when they voted for 29-year-olds like John F. Kennedy, but it turned out that candidates who learned to put country first when they were young continued to put America first for the rest of their lives. David Gergen is a professor of public service and co-director of the Center for Public Leadership at the Harvard Kennedy School. Correction: An earlier version of this story misspelled Mike Johnston’s name.